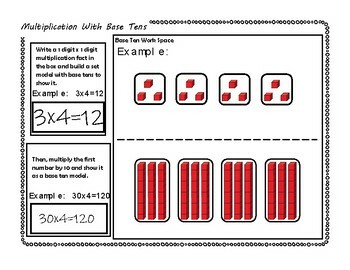 This Math Activity aligns with 3.NBT.3 and shows students how to multiply 2 digit by 1 digit numbers with base ten blocks as a center. This is a good foundation of the how to behind how the algorithm will work when introduced later and it gives students a deeper understanding of this skill. 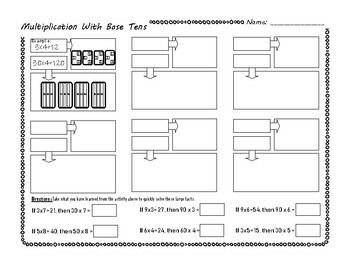 This activity also includes a recording page (thumbnail 3) so that their is plenty of accountability if students are working independently. 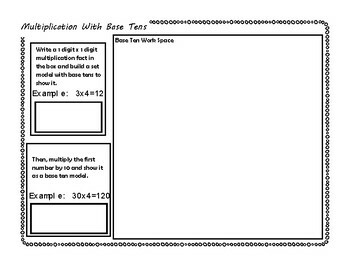 Students can record up to 5 of their favorite answers on this page which also contains the first one done for them as an example. 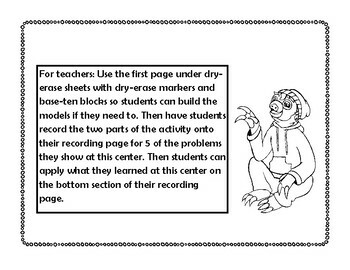 The bottom of the recording page gives them a chance to apply the knowledge they gained from the center activity in a concrete way.